With Complete kit and accessories to just Fit and Go! 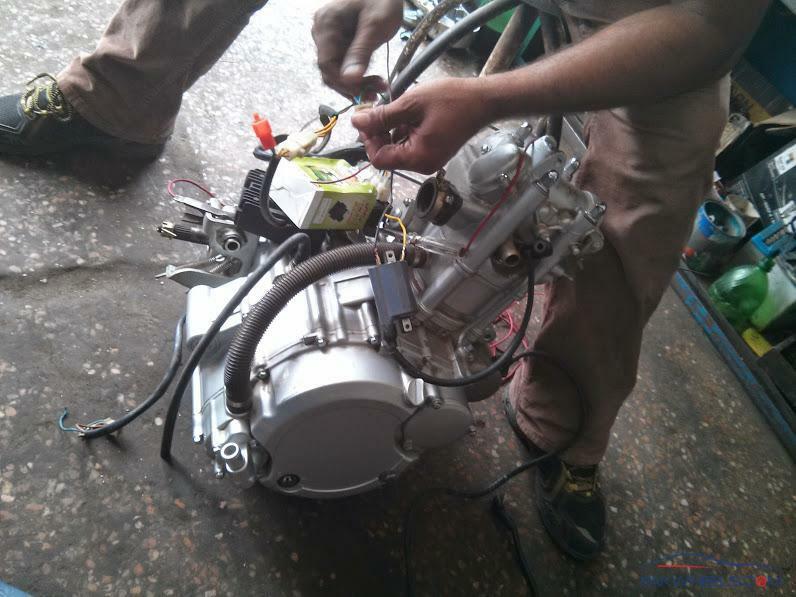 Bolt on for Ravi Paiggio Engine Swap, Deluxe and GS also fit-able with help of denter. 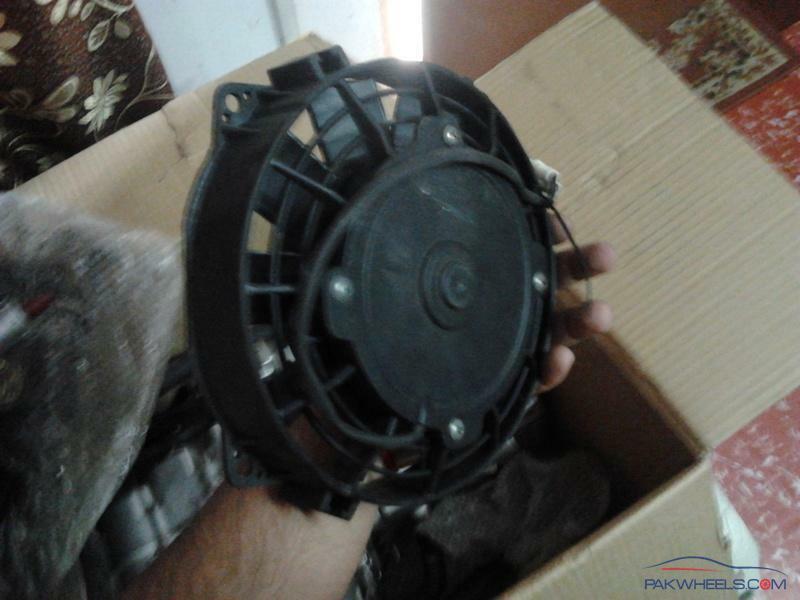 （1）It has Special Type of Clutch Plate with Special Type of Oil-resistant Rubber and Colophony to prolong the using life of Clutch plate 20%more than normal Clutch Plate. (Six pole and six patch, normally four pole and five patch). （2）Uses Newly Designed Piston―― Its a Even-Pottery-plated Piston. A.Much lighter and more lubricative. Excellent performance in reducing the friction and optimizing the power output. B.Improve burning environment of the mixed gas and strengthen the torque at lower and middle speed. C.Newly advanced manufacturing techniques have been adopted for high quality piston. It has excellent performance in preventing heat leak into the bottom in order to prolong the using life of the piston and piston rings. 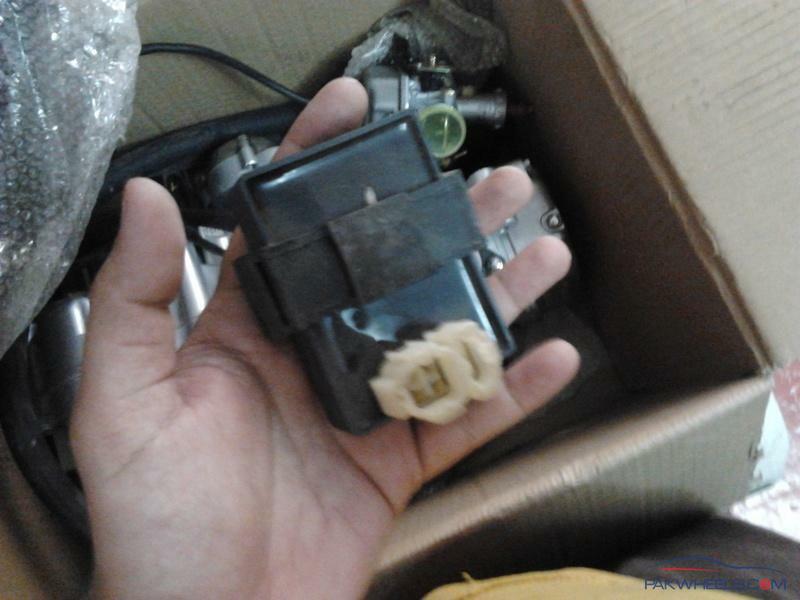 （3）Uses high tech, steal hard Special Type of Piston Ring (CRY) with two special metals: Cr & Nb to enforce the intensity. 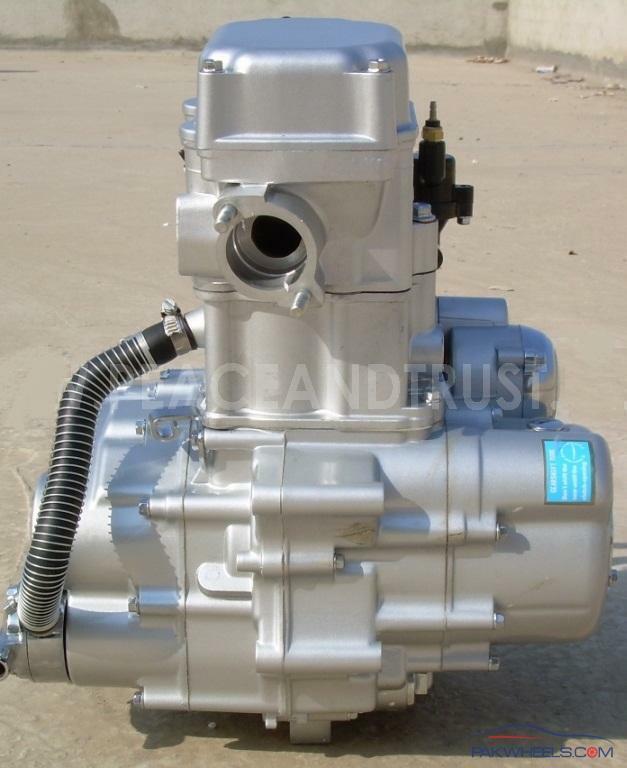 （4）Contains double-modulus Main Shaft and double-modulus Counter-shaft to enhance the gears, to enlarge the transmission ratio, to strengthen the anti-wallop ability. 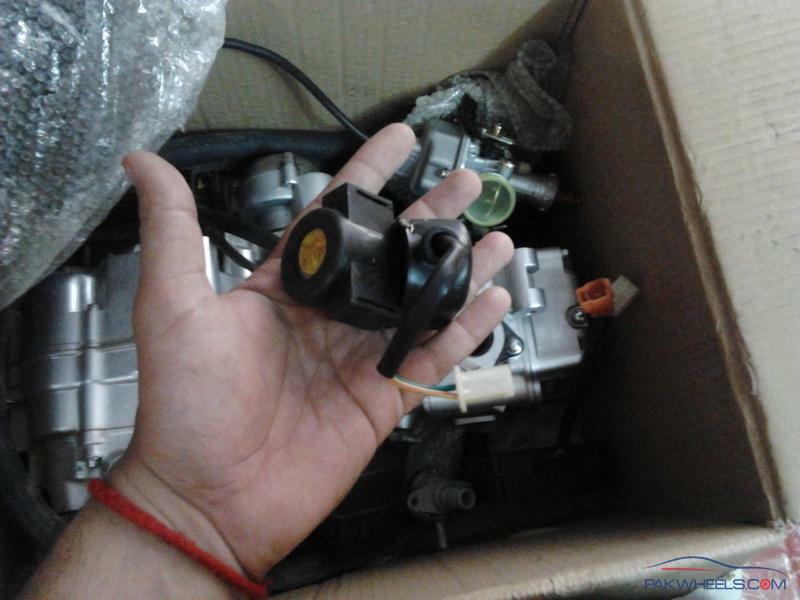 It has excellent performance in prolonging the using life of engine. Do note I have shared own taken pictures and also some close ups from internet for giving you better details. Please feel free to contact personal message only, PM is the best way to communicate. 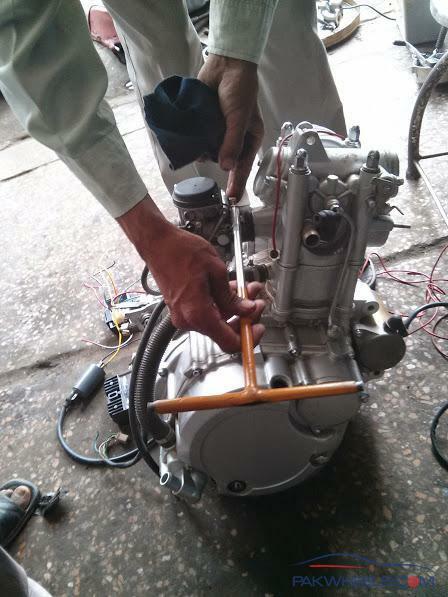 I will try my best to locate any motor which can be feasible to your ride. 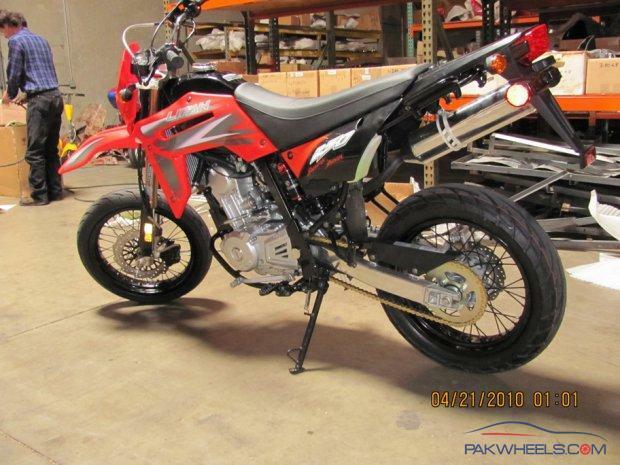 how much for 150cc & 250cc?? 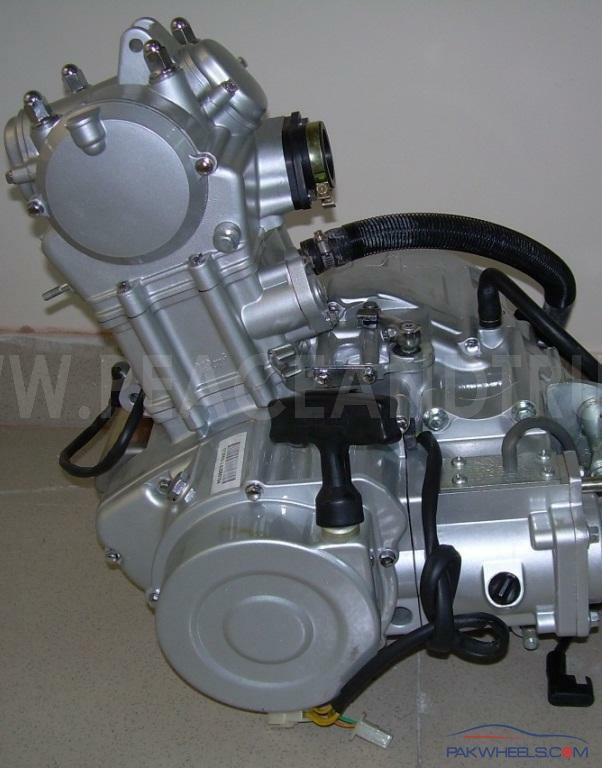 150 and 125 is the same zongshen engine whos specs can be traced on almost all chinese websites 150cc is roughly 13.5HP and 200 is 16HP where as 125 engine is a ditto copy of CG engine. Vicky bro ,Can you post some more pics for 250 swap ? Does bike is in running condition and stable ? AOA. 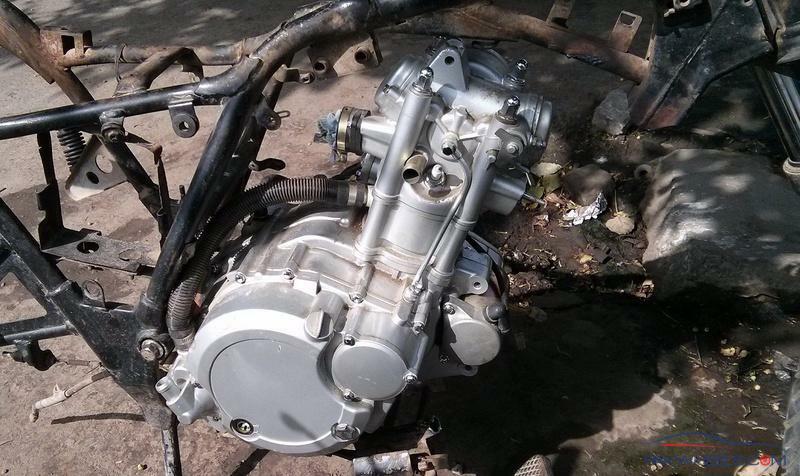 Can the 250cc be fitted to a 2012 Honda Deluxe? How much and what kind of alteration would be required? 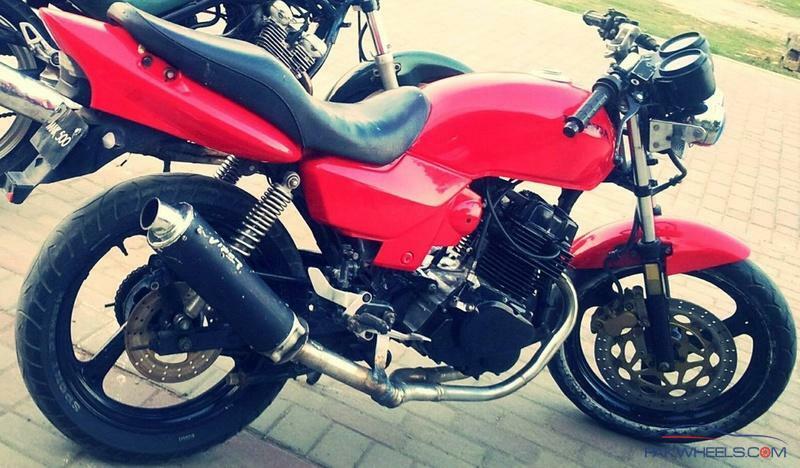 BTW,IF you can import engine than why don't you import the bike with in some budget price ? 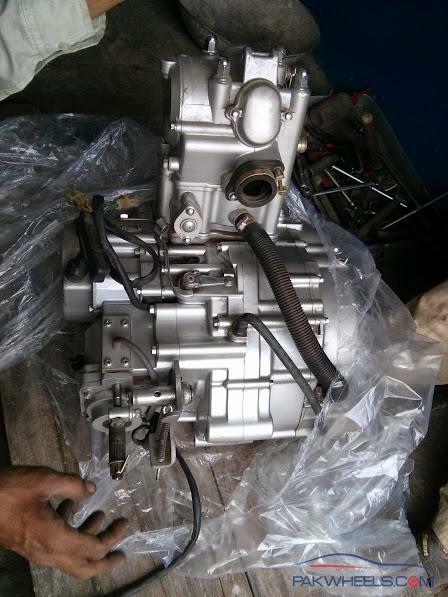 sir what's the cost of engine of Jialing Jh70 Complete JL1P47FMD and its importing cost? 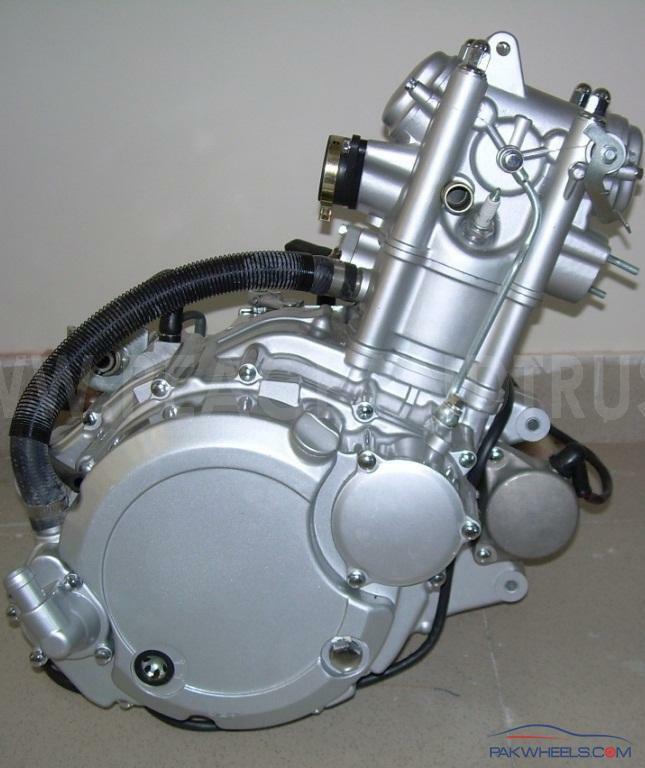 Argus, it depends... yes dlx can have a bigger engine as below picture but dont know about how to alter and how much money it would need you need to get those details from any bike denter. Sir! 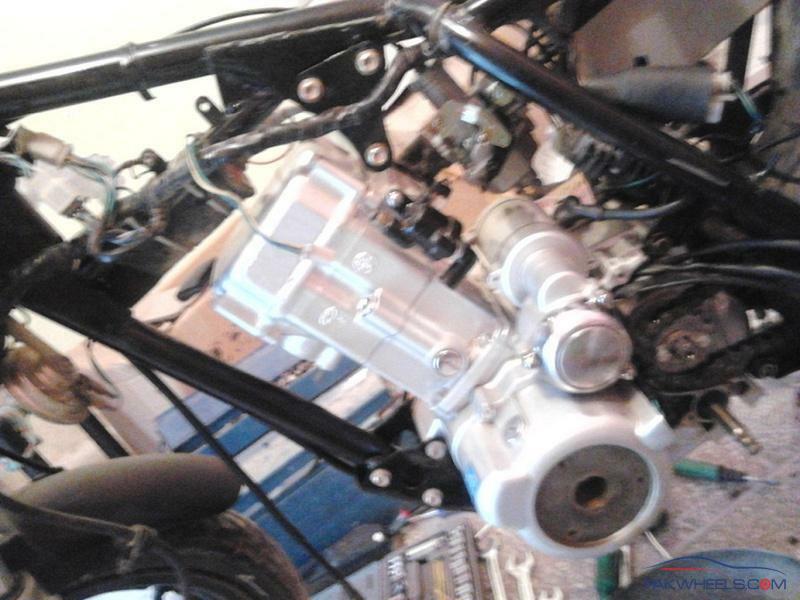 only took that picture when engine was delivered .. later on I only now that bike was a success and gone with the wind. Can u kindly PM the prices for the 150 and 250cc ones? 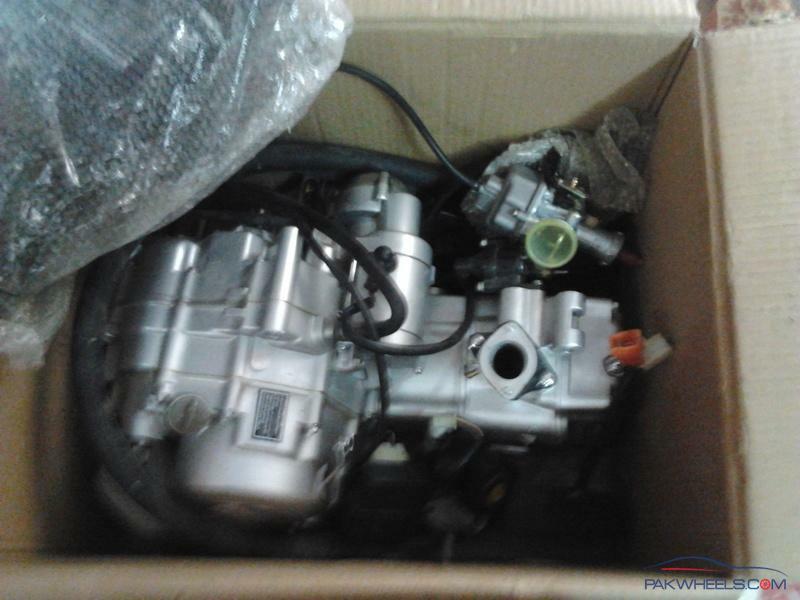 I'm highly interested in the 250cc engine, but I need a guarantee that it'll work on the Piaggio and some kind of proof if I bring the bike in. What's the price? 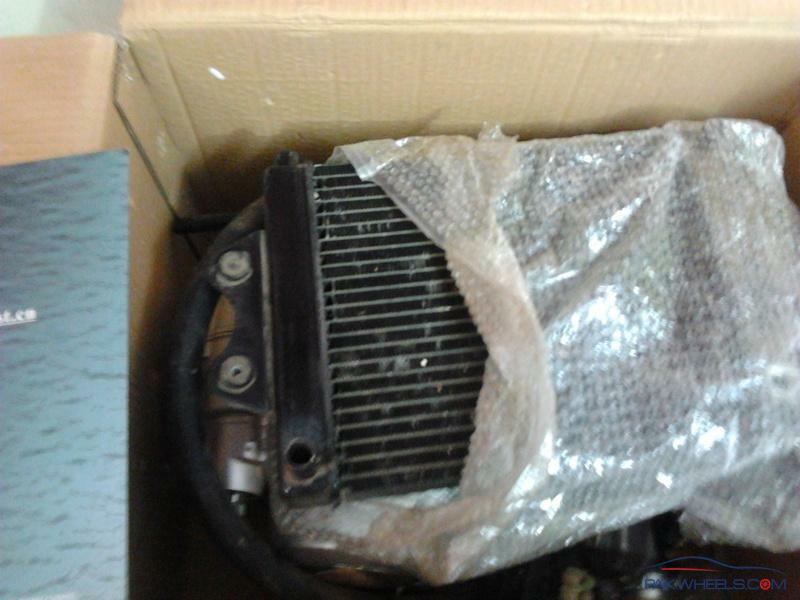 Vicky please tell me the price of these engines, and tell us where are they available ?? dear omair, these thing are DIY stuff and it is seriously not recommended for any one who do not know details about alteration so it is not recommended for starters. Specs are listed and internet is in you hands you can google what power difference you will get and what Troque Levels you will get with any engine ... hope that helps. 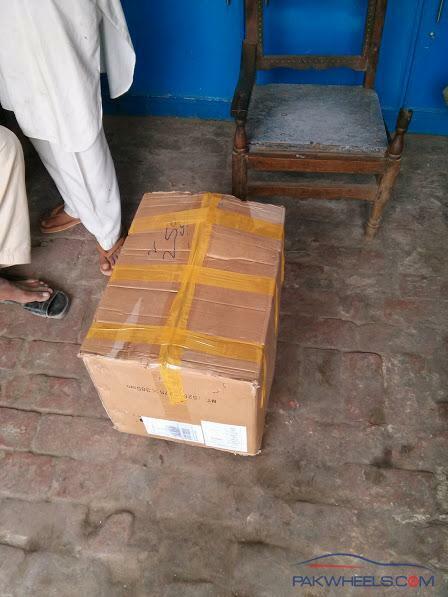 avaiable in lahore you can inspect them on any weekend as I am a 9-to-5 job guy prices are sent to you. 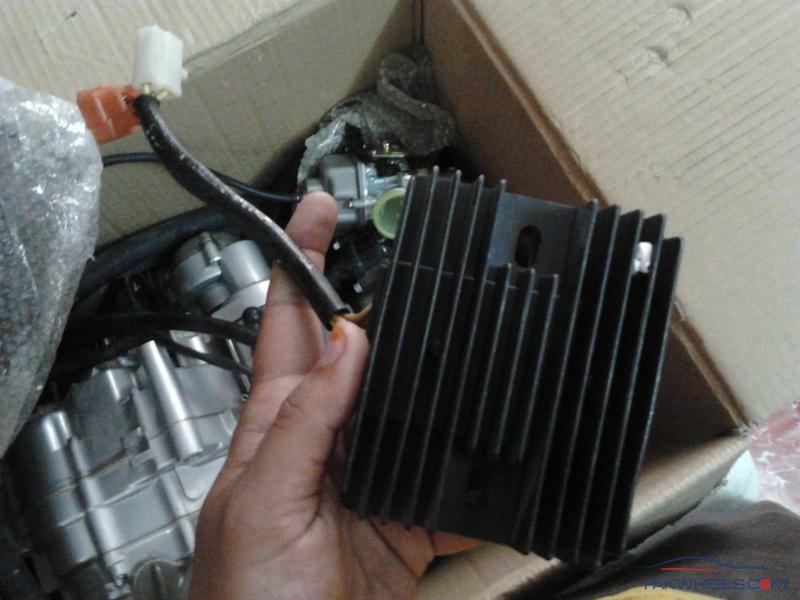 Lastly many guys are asking about spare parts... so most of the spare parts are avaiable for these engine including CDI rectifiers radiator water body e.t.c.. in local market from rickshaw shops. oh I just realised that @ryderdoo you are from KHI then any one of your friend , family memeber if in Lahore can come and inspect OK! [QUOTE=vickytulla;4382089]dear omair, these thing are DIY stuff and it is seriously not recommended for any one who do not know details about alteration so it is not recommended for starters. I'm very well aware of the power differences and different levels of the engine as I've ridden before. I just need someone to swap the engine and I'll be willing to pay for it. Can you recommend me to someone who can do that for me?